Machine Height 7 ft 5 in. Machine Length 21 ft 7 in. Transport Length 21 ft 7 in. Machine Width 7 ft 9 in. Platform Dimension A 2 ft 6 in. Capacity - Hydraulic Reservoir 36 gal. 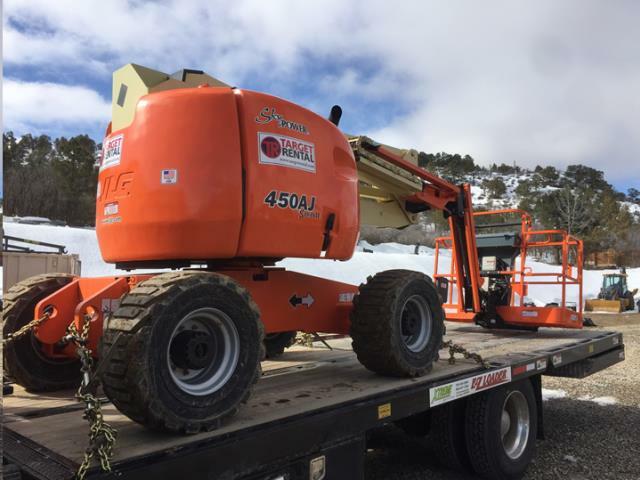 * Please call us for any questions on our jlg z45aj 4wd aerial lift rentals in Durango CO, LaPlata County, Mancos, Ignacio, Cortez, Bayfield, Pagosa Springs, and Silverton CO.